Doing without the comfort provided by your furnace system during an Indianapolis winter is pretty much a no-go. And when your system goes on the fritz, you need a dependable solution fast! 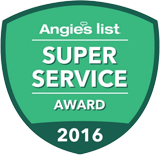 At Service Plus Heating, Cooling & Plumbing, our certified repair specialists make your needs a priority. We bring you trustworthy service that gets your system up and running again right away, and we never skimp on quality! Looking for furnace repair “near me”? Contact the NATE-certified professionals at Service Plus online or give us a call at (317) 434-2627 right away! Service Plus uses proven diagnostic tools and skills to find the root of your furnace woes, so we can provide the repairs you need quickly and effectively. If you notice any of these signs or anything else out of the ordinary with your unit, be sure to contact our team right away. Cool air. In the colder months, the last thing you need is even more cold air. This is particularly common with gas furnaces and often indicates a problem with your pilot light. Our experts can help! Bad or weak air flow. Poor air flow comes as a result of a wide variety of issues, but they all mean one thing for you: bad heating and a cold home! Our team can locate and handle the source of your airflow problems, guaranteed. Drops in energy efficiency. Noticing an increase in your energy bills? Your system may simply be getting old, and if so, it might be time to replace your furnace. But if your system is newer, or the spikes in monthly costs were sudden, you may just need repairs! Odd sounds coming from your furnace system. Your furnace can make a lot of sounds, and pretty much all of them indicate a problem. These sounds usually mean a broken or loose component, and if you ignore it, that component can damage the entire furnace system, sometimes permanently. Strange, musty odors. It’s not unusual to get a brief dusty, musty smell when you turn your system on for the first time of the year. But if the smell persists, or comes and goes, you may need professional repair. Start by replacing your filter, and if that doesn’t stop the smell, call on Service Plus! Why Choose Service Plus for Fishers Furnace Repair? For more information on the furnace repair services we offer in the Indianapolis area, give us a call at (317) 434-2627! Our experts have been providing trustworthy and effective service to our patrons for years. If you need a solution that guarantees prompt, accurate repairs, we’re the experts for you! Stop asking yourself, “Where can I find furnace repair near me?” The answer is here at Service Plus! Contact Service Plus online today or give us a call at (317) 434-2627 to schedule furnace repair in Fishers, Carmel, Indianapolis, or the surrounding areas.